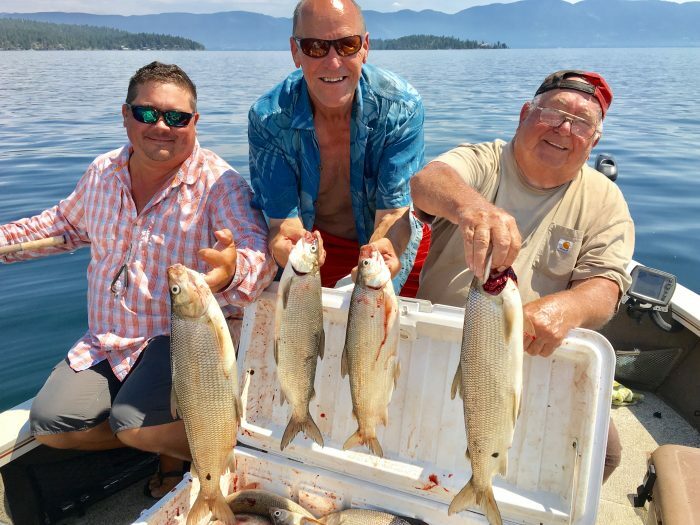 Scott Willumsen, Ross Tate and Don Beardsley from Missoula joined the Captain on Thursday for a day of whitefishing on Flathead Lake. It turned out to be the best day so far for the Captain. They boated more than 80 whiteys and one big lake trout. 12noon went to the United Methodist Camp in Rollins and anchored at the point and caught over 40. the fish at the United Methodist Camp were bigger. Caught a 4 1/2 pounder. At every stop during the day, they caught fish and were using 3/8 or 5/8 ounce Rattle D Zastor with a ready to go fly set up. All the hooks were tipped with maggots. They anchored in 50 feet of water every place, too! Lures, flies and maggots are available at Bob Ward’s Sports & Outdoors in Missoula. Should be another great weekend. 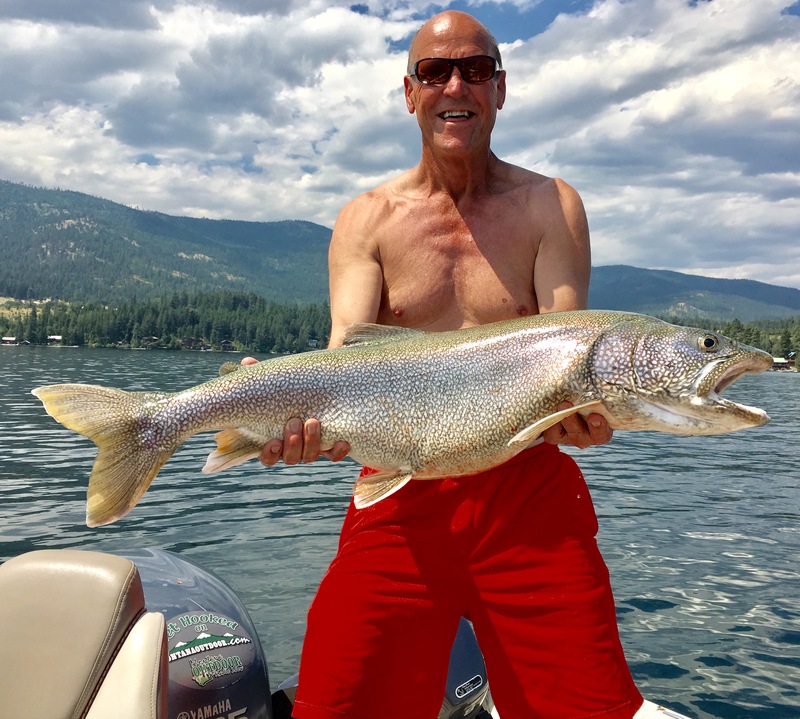 Listen to the show Saturday morning for more updates on the whitefish bite on Flathead Lake. It should only get better!